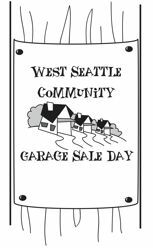 The Post will be making available 15 tables to the community for $5 each; while we participate in the West Seattle Community Garage Sale (WSCGS). The VFW will have two tables as well as the American Legion. If you would like to rent a table please fill out the form below.